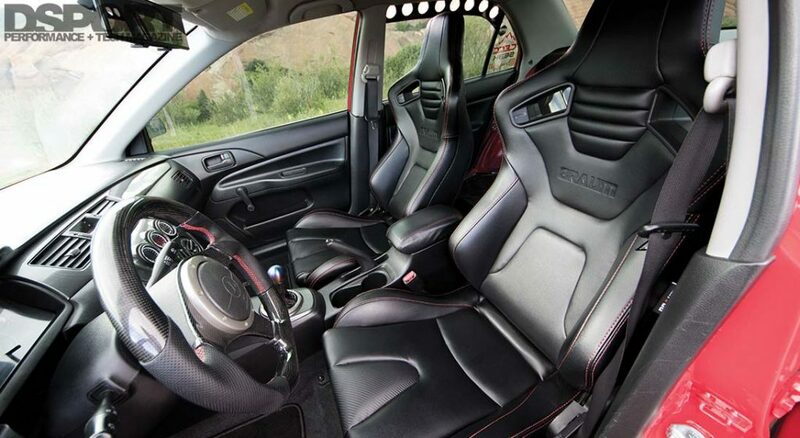 Its rough ride is more punishing than being in the ring with young Mike Tyson, but after a few minutes of driving the Mitsubishi Lancer Evolution, you will quickly feel like you’re the one throwing the punches. There are numerous fast cars on the market, but the Evo 9 has always been described by owners and journalists as an addiction. Despite its basic interior and poor fuel economy, the Evo makes it up the second boost kicks in. If you decide to modify it, the Evolution is more than prepared to melt your face off and give you more and more confidence as your speedometer climbs up. Miguel Mendoza-Hall realized the potential in the CT9A platform and he just had to have one. Forget ride quality and poor interior, the magic lies in the 4G63. 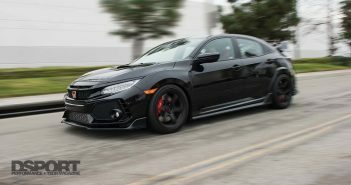 A small 2.0-liter turbocharged inline-four, the Evo’s engine delivers 276 horsepower at 6,500 rpm and 286 lb-ft of torque at 3,500 rpm. Although the 276 horsepower may not seem impressive, the 4G63 was constructed from an iron block and aluminum cylinder head. This allowed it to withstands higher power from the small engine with large 85mm bore and 88mm stroke, making it the perfect tuner car. The 4G63 was complemented with an AWD system. The system gave the Evolution its legendary reputation in the Rally world and made it one of the most exhilarating cars to drive. Unfortunately, financial burdens forced Mitsubishi to cease production of their halo car in 2016 and the Evolution can no longer evolve. The journey for Miguel Mendoza-Hall started on his hour commute in 2009. At the busiest intersection of his daily-drive, Miguel would feel mesmerized by a beautiful red Evo on a rotating display. After weeks of making the drive and staring at the car, he decided to walk in the dealership and see how this car actually drives. Breath-taken by its aggressive performance and precise handling, Mendoza fell in love. He traded-in his VW Golf for the completely stock 2005 Mitsubishi Lancer Evolution RS with just 24,000 miles on its odometer. 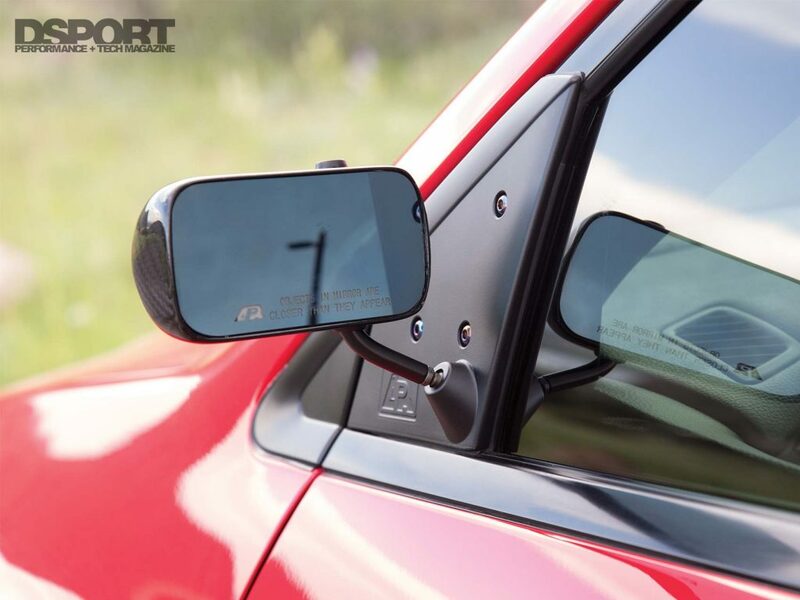 The hard body lines and tastefully-intrusive exhaust notes were enough to paint a picture in his head, and “stock” was no longer in this red Evo’s future. Living in Colorado, Miguel knew the AWD system would be his best friend when it snows. However, the Evo never really got to see the snow. Mendoza always kept it in his garage far away from any possible harm. 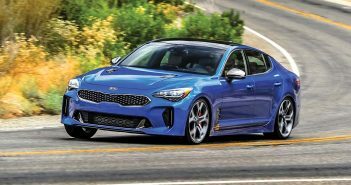 He loved the 4G63’s low-end torque and weight-reduction of the RS trim, but he didn’t like how the car ran out of breath at the top-end. “Looking back at it, it was also “monster truck-ish” in height and the seating position made you feel like you were riding on top of the car,” said Miguel Mendoza-Hall. Fortunately, all of the factory shortcomings meant nothing to him, because he was already planning a complete makeover for his newly-acquired Evo. 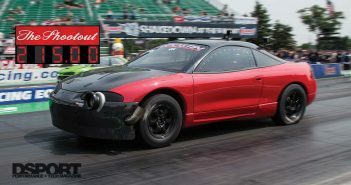 “My main goal was to keep the car very clean and utilize the beautiful stock body lines,” said Mendoza. “I never wanted to go wide-body or severely alter the car’s shape.” The essence of the build is a street setup that can steal the eyes at car shows, all while being capable of racing when he decides to attack the track. The plans changed as Miguel started his Evo journey, however, and the few engines he went through were just the education he needed to build a high horsepower 4G63. “You learn that cheap parts serve a purpose, but you can’t expect long-term results,” Miguel reflected. The Forced Performance Zero turbocharger forces air through a Full Blown Cast 70mm throttle body and into a Fully STM Tuned Skunk 2 Pro Series. Throughout his journey, Miguel surrounded himself with like-minded people that shared the same passion he had. With numerous inspirations and ideas around him, he finally figured out how he could make serious, reliable power. Maintaining the same engine bore, Miguel and Tobz Performance stroked the block to 100mm for a total displacement of 2,324cc. 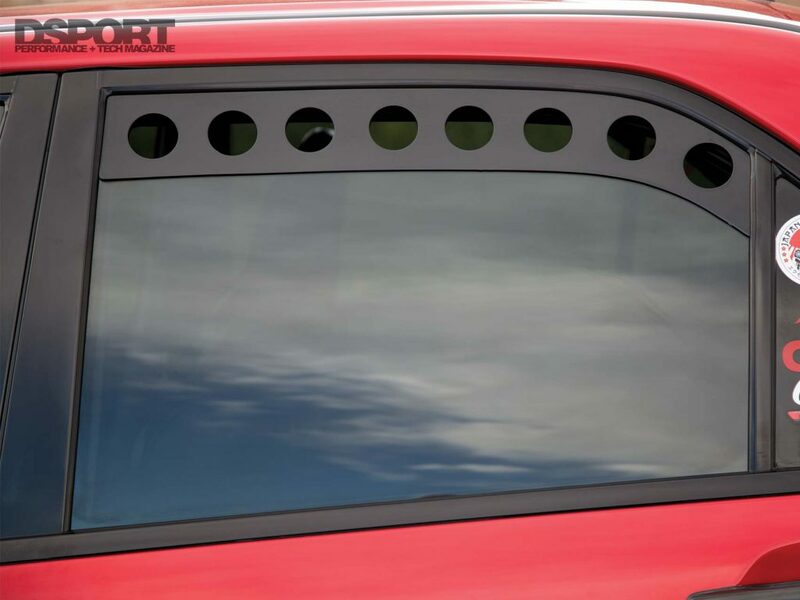 The entire block was precision machined and equipped with aftermarket performance internal parts. 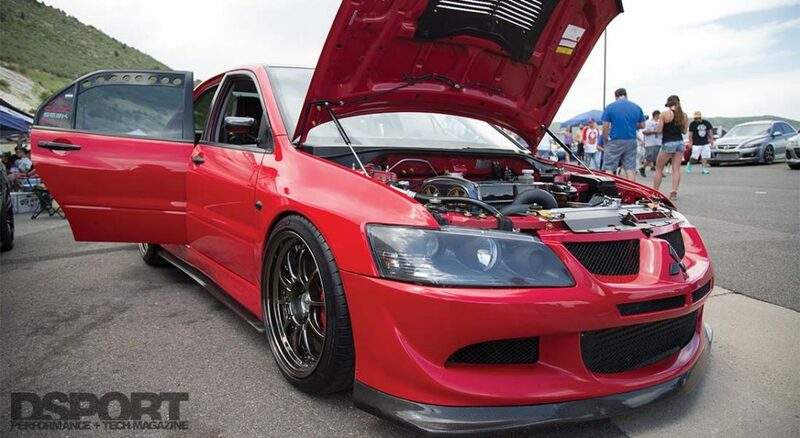 Despite looking tame, the Evo delivers a vicious 838 horsepower to the wheels and 774 lb-ft of torque. 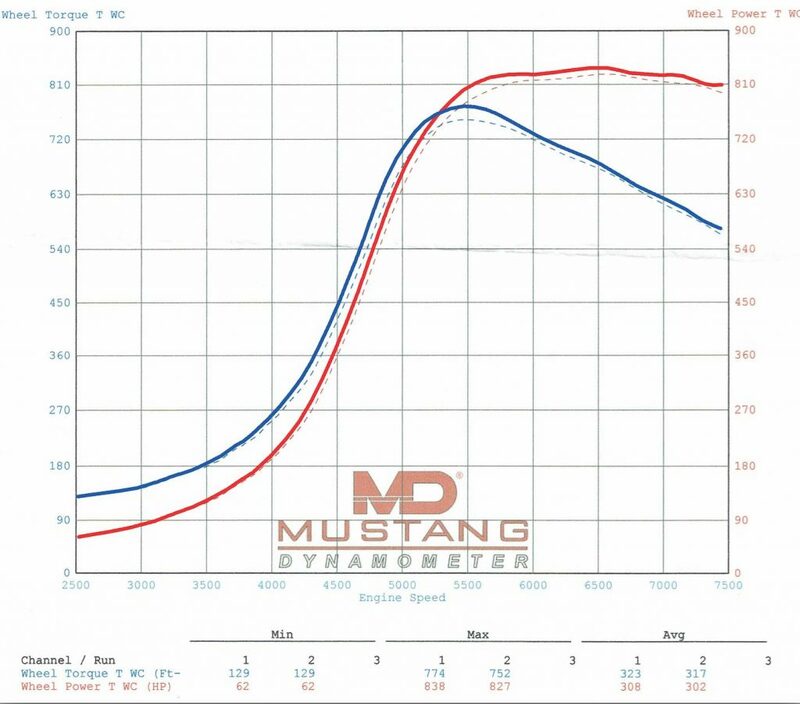 This power is accomplished using E-85 fuel through the Buschur Racing dual pump fuel system, while running at 38 psi of boost and a 10.0:1 compression ratio. The exterior remains fairly simple. Miguel knew he can’t beat the aggressive factory lines of the Evo. With just the wheels and tires, headlights and taillights, as well as a few classy touches around the exterior, the shell looks exactly the way Miguel wants. 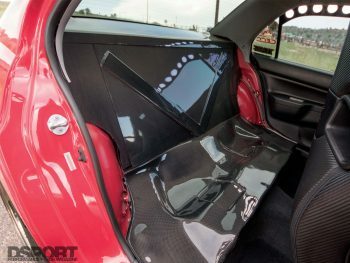 As for the interior, Mendoza plans on adding more carbon fiber accents, suede headliner and pillars, as well as a custom audio setup to give it a complete refresh. Under the hood, the 4G63 performs just the way it should, but he plans on performing a complete wire tuck, and rerouting vacuum, boost, and coolant lines to clean up the clutter. 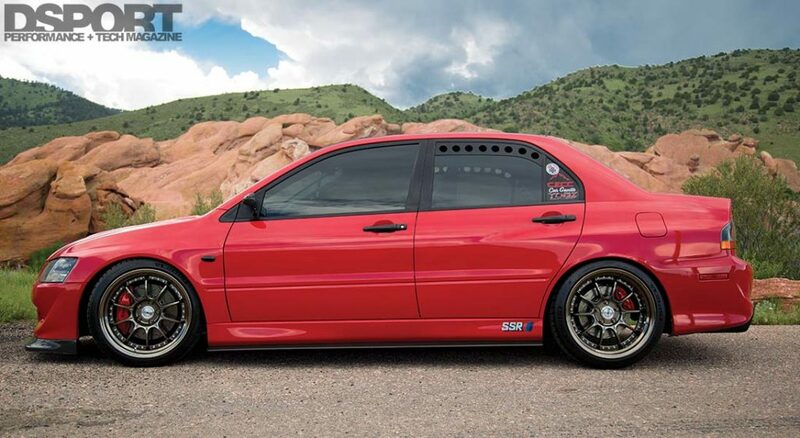 The future remains bright for Miguel and his 838whp Evo. Although the turbocharger and the E85 fuel, along with the supporting components, contributed the most to turning the stock engine into a monstrous street machine, Miguel values every part of the build down to the last nut and bolt. The amount of knowledge he gained and continues to gain through this journey cannot be measured in dollars. Mendoza won the Best Mitsubishi award at the 2018 InstaFame car show for the Street Tuner Mayhem in Colorado, one of many awards to come.